A major goal of many a ceramic artist in Japan is to have a one-man exhibition in a department store. Now for most westerners this is an odd concept. Department stores sell clothes and furniture, not fine art, right? Wrong. In Japan a department store sells fine food in the basement and fine art on the upper floors. 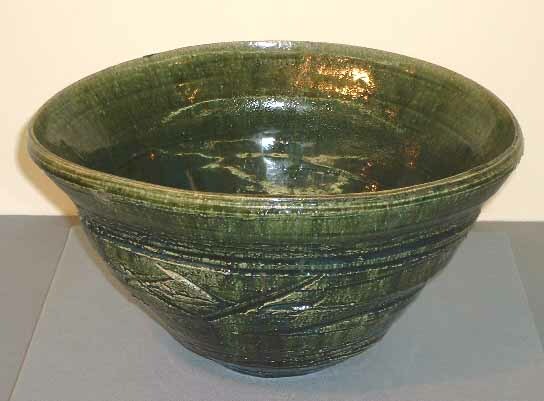 There is always an art department staffed with knowledgeable buyers in their respective specialties -- paintings, sculptures, textiles, or ceramics. 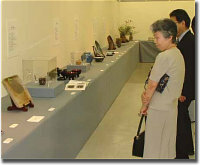 An exhibition for any artist is only about five days, which means that there are a large number of exhibitions each year. Some of the larger department stores have three or four galleries showing concurrent exhibitions. In Tokyo the big names are Takashimaya and Mitsukoshi. A one-man exhibition at one of these is a huge stamp of approval and can bring great fortunes, figuratively and literally to an artist. On the lower tier are Isetan, Keio, Odakyu, Tobu, and Seibu. Yet, some potters, for various reasons, would rather exhibit at one of the latter -- Matsuzaki Ken and the late Furutani Michio come to mind. So, top artists can, and do, exhibit at so-called second-class venues. Some artists avoid department store galleries altogether and exhibit only at specialized galleries, of which there are many throughout Japan. A big name exhibition can bring in hundreds, often thousands, of customers to a store and increase revenue for other sales in the millions-of-yen range. 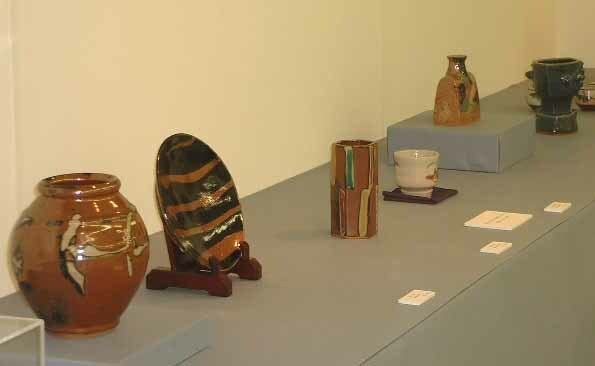 These exhibits last a bit longer and highlight a potter's career, like a Living National Treasure, or are a juried exhibition, like the Japan Ceramic Exhibition. These are always packed. Newspapers often sponsor such exhibits and large ads are placed within their pages or advertised on TV. 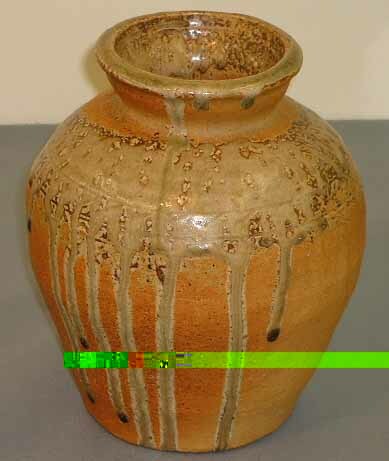 A ceramic exhibition I'm talking about here! Only in Japan I imagine. Indeed, just recently, I learned about an exhibit I wanted to attend in my local newspaper, the Shizuoka Shinbun. To celebrate the 45th anniversary of the opening of a Seibu department store in Numazu, an exhibition of past ceramic giants was held. When I went, there were quite a few shoppers enjoying the works in between their shopping spree. They should have been for the list of folks on display was impressive indeed; Kato Tokuro, Rosanjin, Tomimoto, Miwa Kyusetsu, and Itaya Hazan among others. 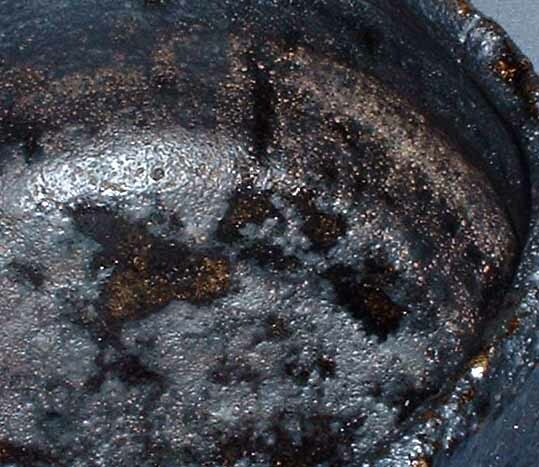 Now a word of caution here, a big name does not always equate with a fine piece. I've seen many a Fujiwara Yu I could live without and a few were on display (priced at one and a half million yen and more), along with a so-so small Rosanjin Shino guinomi that was priced at eight hundred and fifty thousand yen. Japanese are very brand conscious and make these decisions of taste more often with their ears than with their own senses. In any case, there were some fine works on display, including a fifteen-million yen Setoguro chawan by Kato Tokuro that I had the pleasure to hold. 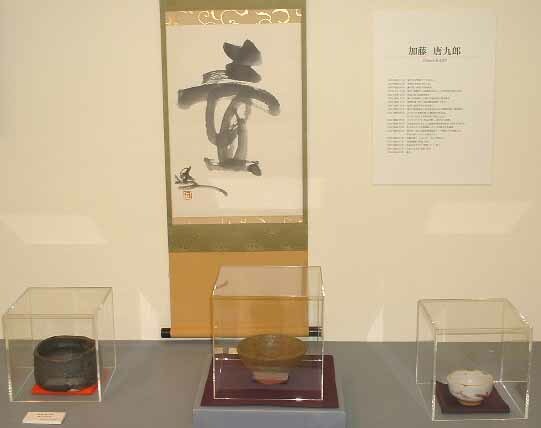 Here is a photo of Kato's display along with shots of the inside and kodai (foot) of the chawan. 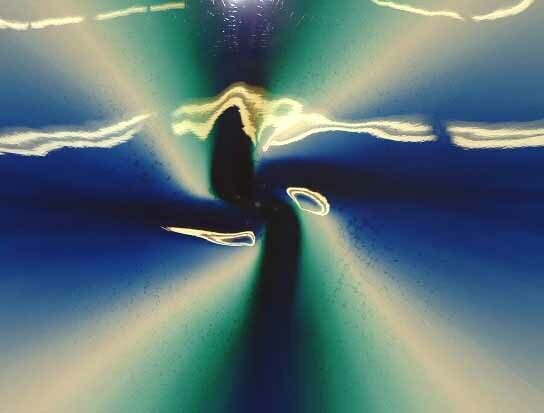 For a photo tour of his work, click here. His calligraphy was strong and fine like his pottery. 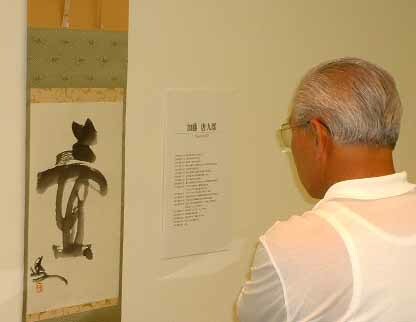 The hanging scroll (see photo above and below) says "tsubo" and was written a few days before Kato's passing. The gentleman in the below photo was staring at the piece for quite a long time, lost in thought, or possibly Kato's realm of no-mind Zen. 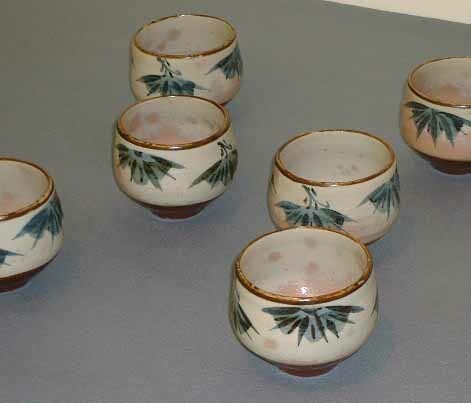 Another work I enjoyed was a set of tea cups by Mingei artist Kawai Kanjiro. 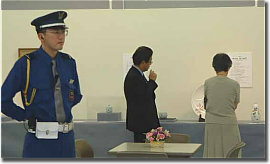 The set was selling for eight hundred thousand yen. 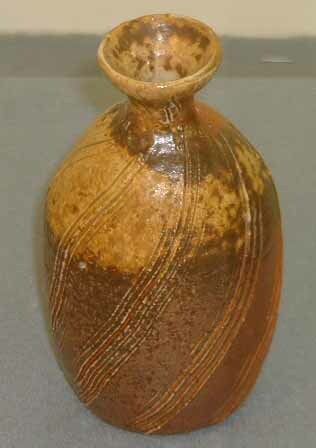 Another famous Mingei artist, Hamada Shoji, was also on display (below). 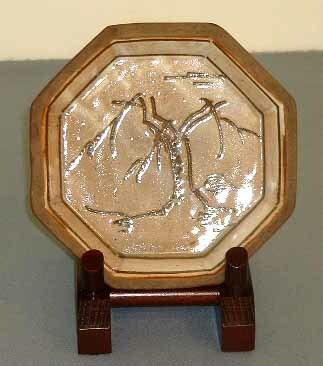 A large Oribe bowl by Okabe Mineo was eight million yen (below). 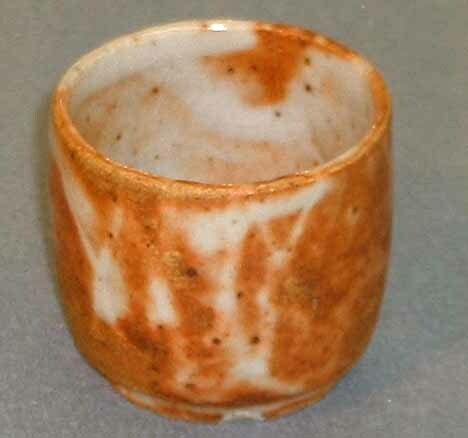 A small dish by Tomimoto was selling for only two hundred and thirty thousand yen (below). In the gallery were about five art staff members taking the more "worthy" customers around to each piece and explaining or answering questions. 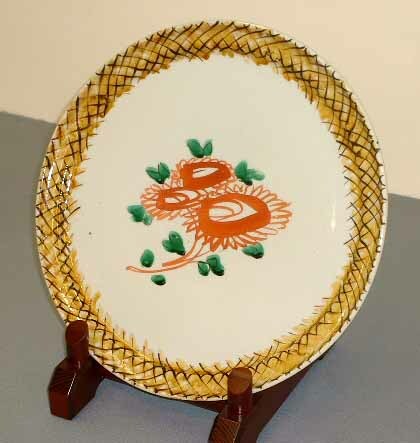 The security guard never moved past the Rosanjin display, which included a set of four plates (each with a season written on it), a fine porcelain plate, and a small Iga tsubo and Shigaraki tokkuri (see next four photos). Some of the other artists on display were Matsui Kosei, Miwa, Yoshida Minori, Shimizu Uichi, Miura Koheiji, and Tokuda Yasokichi lll (below two photos). 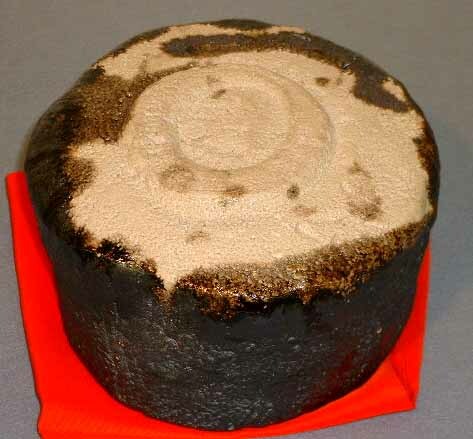 Quite a few works were sold and someone had bought and taken home a Kaneshige Toyo Bizen guinomi that was purchased for seven hundred and fifty thousand yen. I wish I had seen that, and the other dozen or so works that were purchased; all I saw was a stack of placards. Yet, the goal of attracting customers to the department store was obviously achieved and that is what the department store gallery game is all about.